Hi-Res Audio vs. Hi-Res Music – Are they the same? During my interactions with fellow enthusiasts, the term “Hi-Res Audio” and “Hi-Res Music” are commonly used interchangeably, often leaving impressions that the two are the same. In reality, “Hi-Res Audio” and “Hi-Res Music” are different and originates from two separate entities, most notably differing sampling and bit rates. 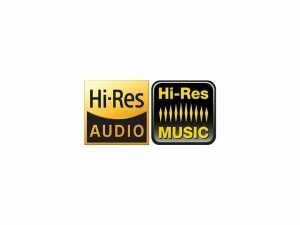 The term “Hi Res Audio” and its corresponding logo can only be applied to devices that can support, audio signals at 96kHz/24-bit resolution or higher. A hardware centric standard codified by Japan Audio Society (JAS) in recent years. Unlike the Hi Res Audio certification which is hardware centric, the Recording Industry Association of America, DEG, and The Recording Academy Producers & Engineers Wing in June of 2015, unveiled the “Hi-Res Music” specifications and logo to differentiate music that has been mastered at a minimum of 48 kHz/20-bit, a benchmark which is better than CD quality at 44.1 KHz/16-bit. This specification is backed leading labels such as Sony, Universal, and Warner has been instrumental in expanding the amount of “Hi-Res Music” available. The “Hi-Res Audio” and “Hi-Res Music” specification programs paved the way for the “Stream the Studio” initiative, driven by DEG, an industry association that includes a wide array of members, including the major music labels, device manufacturers, and technology companies that are committed to jointly promoting these specifications and getting consumer uptake of “Hi Res Audio” devices and “Hi-Res Music”. MQA (Master Quality Authenticated) is the most talked about acronym in Hi-Res music today, it is amongst the most exciting technology which emerged from the initiative. Partnering major and independent record labels, as well as streaming and premium download services, the company makes available original studio master recordings through it’s proprietary “origami” technique creating audio files which are small enough for streaming and downloading. In a bid to ensure end-users get to enjoy the quality of the studio master recordings they are expecting with the MQA format, MQA certifies hardware products to ensure that certified devices are capable of accurately “unfolding” its “origami” and deliver the audio data as intended. This is indirectly created a hardware certification for “Hi-Res Music” which was never hardware centric in the first place. While the hardware manufacturers are embracing the MQA certification, the “Hi-Res Audio” specification remains the most commonly seen device certification in the market. Time will tell if the MQA certification will soon supersede the JAS certification or would they go hand in hand. After all, if you are certified to handle 96kHz/24-bit, handling 48kHz/20-bit should not be that much of an challenge… Right?